The retailer and distributor of the very best British cured meat and charcuterie. 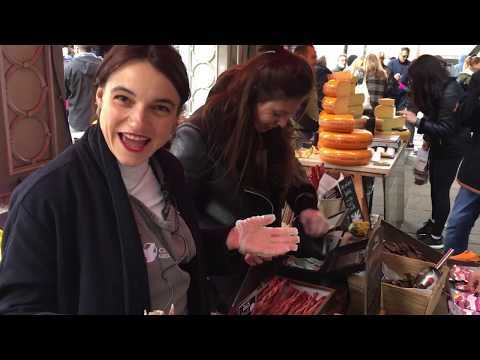 Founded in 2010 Cannon & Cannon is today one of the premier British cured meats suppliers selling across the UK and with a thriving stall in Borough Market. The company is now scaling up to fulfil bigger orders and has plans to supply a major supermarket. In advance of this Cannon & Cannon is seeking to raise £33,000 to fund the production of 13,200 packs of the finest British charcuterie. In return they are offering a yield of 10.5% paid in 9 months. Cannon & Cannon successfully raised £33,000 to fund the production of 13,200 packs 152 days ago. Check back soon for more offers. Sean Cannon, a native of Norfolk, founded Cannon & Cannon in 2010. The company began by selling rare British salamis, prosciuttos, bresaolas and other cured meats at markets in villages in East Anglia. From the start it was clear that demand was outpacing supply and some of the artisans required support in marketing and supporting their produce. Today the company is supplying restaurants, markets, hotels, independent shops and and delis across the UK. They also have an event catering business and a stall in Borough Market. Cannon & Cannon is now focused on bringing its products to a wider audience. To do this it must invest in infrastructure, people and suppliers to satisfy numerous larger orders. When Cannon & Cannon launched in 2010 there were only 15 artisan producers making fine British cured meats. As this sector has grown the number of fine British cured meat producers has increased and now stands at almost 200. The quality of these producers is exceptional and their range of products and versatility has broadened enormously. Such products include lamb merguez from Monmouthshire, beer sticks with cheddar cheese from Suffolk, limpopo biltong made in England and pepperoni from Yorkshire. Cannon & Cannon is now upscaling. The company completed a successful trial in a major supermarket earlier this year and is on track to sign a full listing with a national outlet within six months. To achieve this Cannon & Cannon would like to raise £33,000 to produce 13,200 packs of their fine product. The company is selling £90-100,000 per month. In exchange Cannon & Cannon are offering to repay in just 9 monthsplus 10.5% . You'll also become a Friend of the brand.